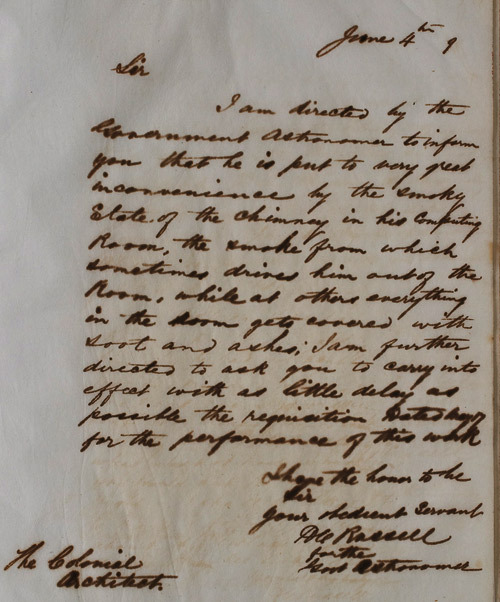 for the performance of this work. 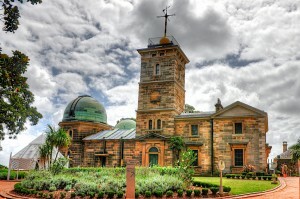 Follow this link to read more letters, click on photograph of the observatory to go to the image download page. I was very excited to see an announcement from NASA’s Communication Support Services Center in my inbox today, because only good things ever come from that office. 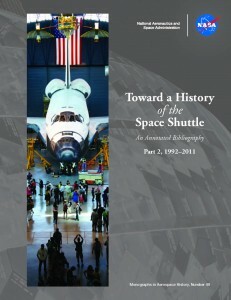 Today’s e-mail directed me to the download site for a new NASA e-book, Toward a History of the Space Shuttle: An Annotated Bibliography Part 2, 1992–2011, compiled by Malinda K. Goodrich, Alice R. Buchalter, and Patrick M. Miller of the Federal Research Division, Library of Congress. So exciting! 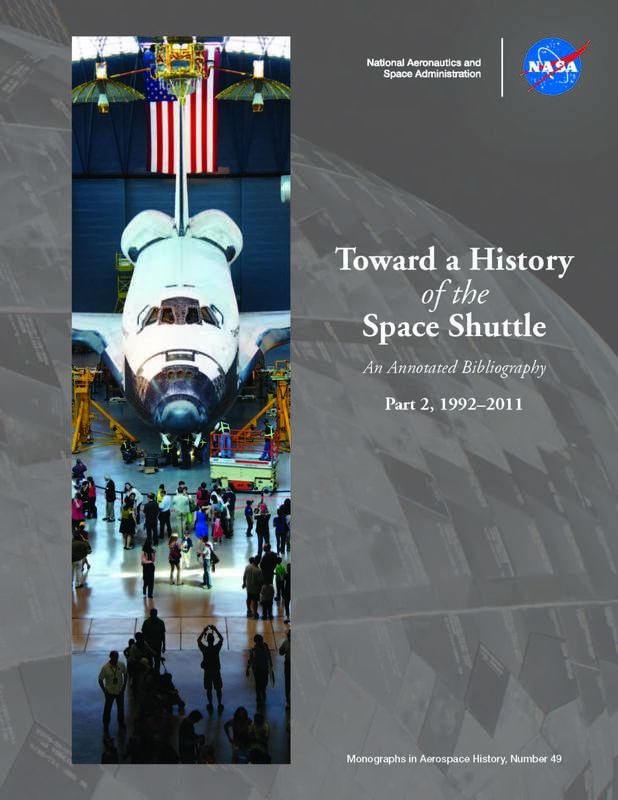 If you’ve ever looked at the 1992 edition of Toward a History of the Space Shuttle An Annotated Bibliography compiled by Roger D. Launius and Aaron K. Gillette, you probably have a sense of what’s in this new edition. In short: everything. 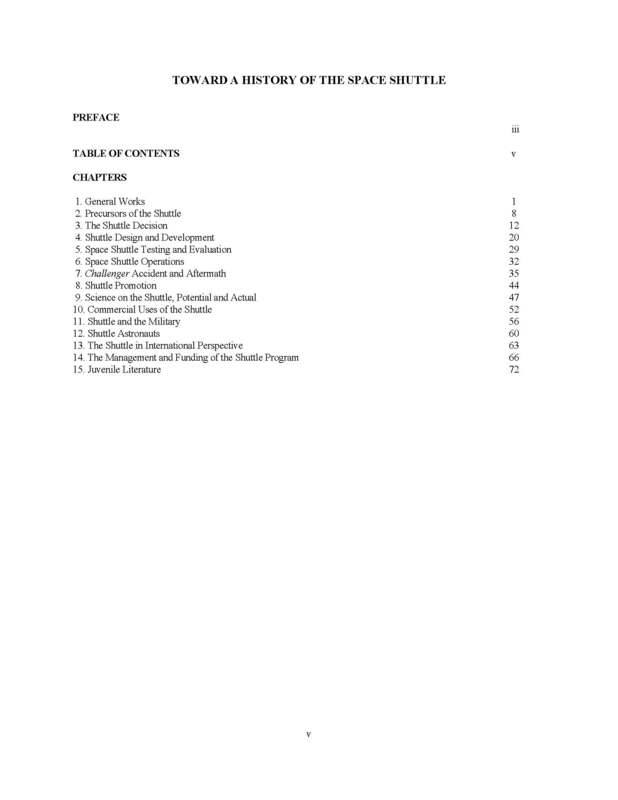 I’m reproducing the table of contents for you here, just in case you doubt my word (click on each image to make them larger). 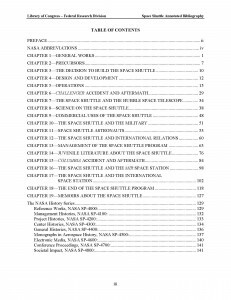 Any book, article, or bulletin even remotely related to the Space Shuttle program is likely to be cited in one or the other volume. The annotations cover popular publications (Popular Science, Washington Post), professional journals (Nature, Journal of the British Interplanetary Society), and technical/government reports (U.S. General Accounting Office, U.S. Congress). 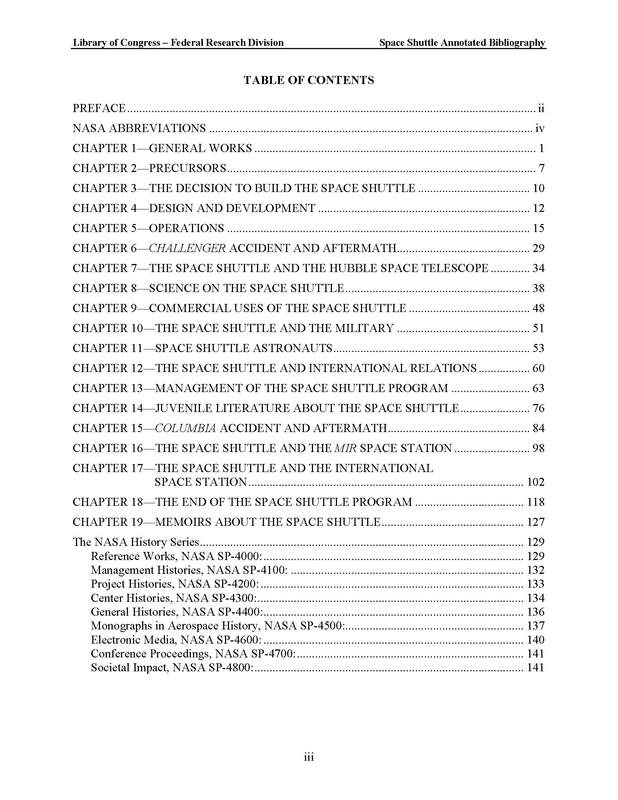 Some neat things about the second volume: it opens with a list of abbreviations, a necessary tool when you’re reading NASA; it contains annotations for DVDs, so you can get your space on in front of the television; it covers children’s books, so you can get you kids in on it; and most usefully, the new volume has embedded links that connect to the parallel section in the first volume. A year ago today, I was celebrating one of the milestones of aviation history, the successful launch of the Mars Science Laboratory (aka Curiosity, the Mars Rover). Today, I mourned one of aviation history’s greatest tragedies, the deliberate downing of Flight 93 in a field near Lambertsville, Pennsylvania. 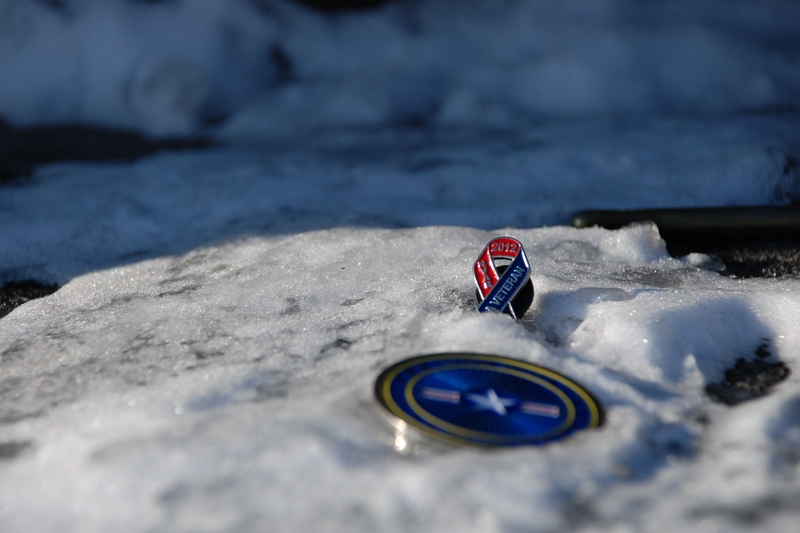 If you’d like to see how I experienced the site this morning, you can watch the slideshow here. 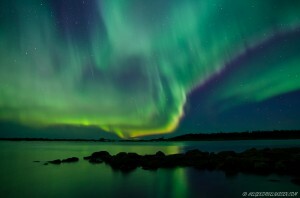 Have you been chasing the northern lights? I’m considering un-following @AuroraMAX on twitter because it keeps taunting me. November has been particularly painful—all those light displays and I’m stuck below the 49th parallel. If you’ve got a few hours to kill, I suggest doing a flickr search on the word “aurora” (don’t ask me about the kittens, I don’t know why they’re there). If you just want a beautiful image, click on the one above to go to the download page. Operating on the theory that I am eventually going to finish writing my first book, I’ve begun doing research for my next large project, on early twentieth-century solar and radio observatories. Flipping through the articles on my desk, I ran across one from the 1960s about instruments for observing in the submillimetre wavelength range. 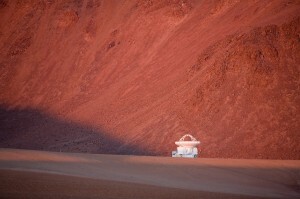 Reading it prompted me to wonder if there was any recent news about the Atacama Pathfinder Experiment (APEX) telescope. The search for news from APEX led me to today’s wallpaper. Every time I visit the ESO website, I’m newly impressed with the online archive. 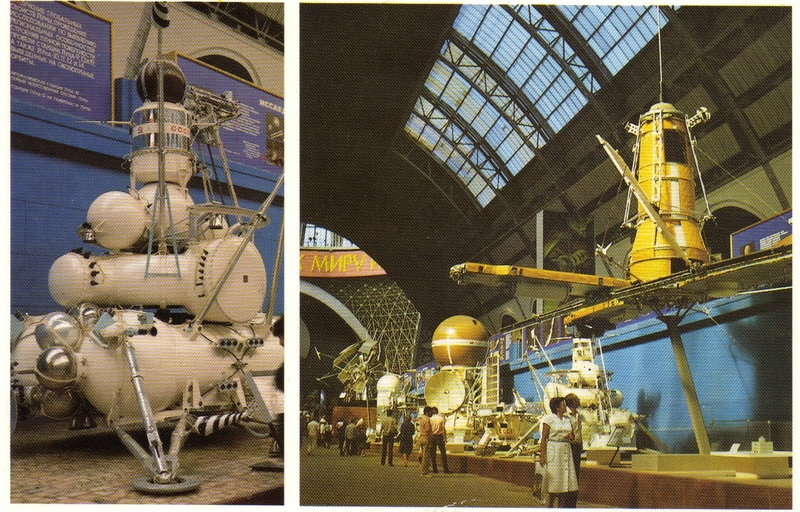 I’ve commented on the image collection before, but the instrument documentation is superb as well. So, too, is the video archive. If you want to learn more about millimetre and submillimetre observations, check out the APEX trailer. Or, you can watch it just because it’s beautiful. Click on the image at the head of this post to download the wallpaper. A. E. Salomonovich, “Some Problems and Instrumental Features of Submillimetre Astronomy,” Philosophical Transactions of the Royal Society of London. 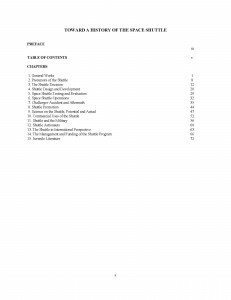 Series A, Mathematical and Physical Sciences, Vol. 264, No. 1150, A Discussion on Infrared Astronomy (Apr. 24, 1969), pp. Most of the articles I’ve seen regarding tomorrow’s solar eclipse [11/13/12, 3:35 p.m. EST (2035 GMT)] have been pushing the SLOOH website and the USTREAM live eclipse broadcast from Cairns as the best online viewing options. Me, I’m going to try the Hot Air Balloon Cairns broadcast, just because it seems too good to be true. Here are a few examples from a collection of space-themed postage stamps that I bought during my first trip to the Soviet Union in 1988. 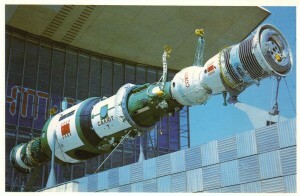 “Cosmonautics Day” marks the anniversary of Yuri Gagarin’s space flight on April 12, 1961. You might recognize the portrait of Soviet rocket theorist Konstantin Tsiolovsky (b. 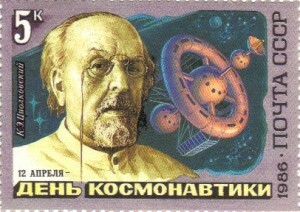 1857-d. 1935) on this stamp from 1986—I’m not sure why, but in every photo I’ve seen, his mouth is open. S. P. Korolev…hm…his father was Russian, his mother Ukrainian, so I’m not going to pin down his ethnicity, other than to say he spent most of his early life in Ukraine. 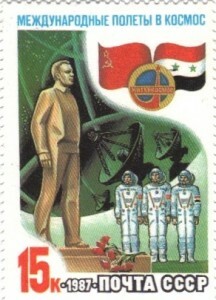 This stamp is such a whitewash of Soviet atrocities. 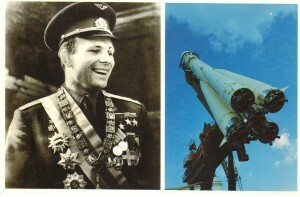 Korolev looked to have a promising career as an engineer ahead of him, but was arrested by the NKVD in 1938. He ended up in a gulag in Siberia. The positive: he lived to tell the tale. The negative: it ruined his life and health. Eventually, he was “rehabilitated,” i.e., the Soviet state realized it was losing the rocketry war to the Germans because they were killing all the smart people, and was forced to admit it the arrest was a mistake. Much of Soviet space and rocketry (and weaponry) success can be attributed to Korolev’s dedication. Much of Soviet space failure can be attributed to the fact he and other scientists died early deaths due to mistreatment in the gulag. 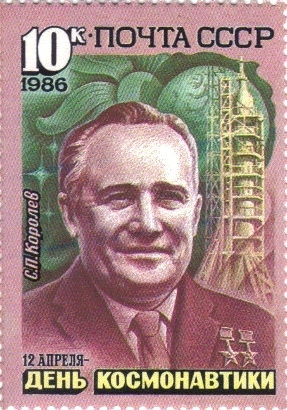 Putting Korolev on a 10-kopeck stamp in 1986 = too little, too late, if you ask me. The 15-kopeck stamp features an idealization of Yuri Gagarin on the left and a drawing of his spacecraft, Vostok-1, on the right. 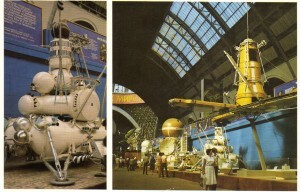 The text on the right say XXV Years: The World’s First Manned Space Flight. 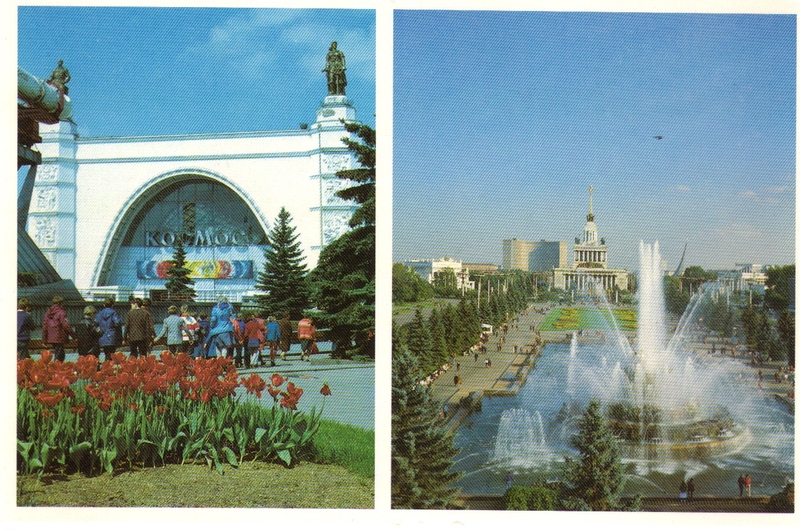 If you’ve been to VDNKh, you might recognize that rocket swoop on the left. 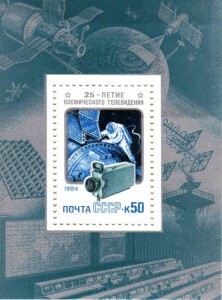 This 5-kopeck stamps celebrates the 25th anniversary of Luna-3, the USSR’s third lunar probe. 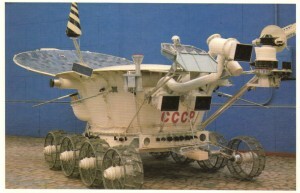 Luna-3 deserves a stamp, since it sent back the first ever photos of the far side of the moon. 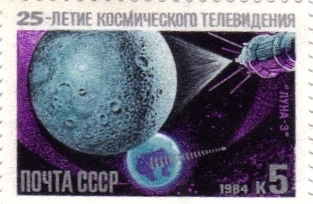 This stamp reminds me how easy it is to get caught up in the early 21st-century narrative of U.S. dominance in space. 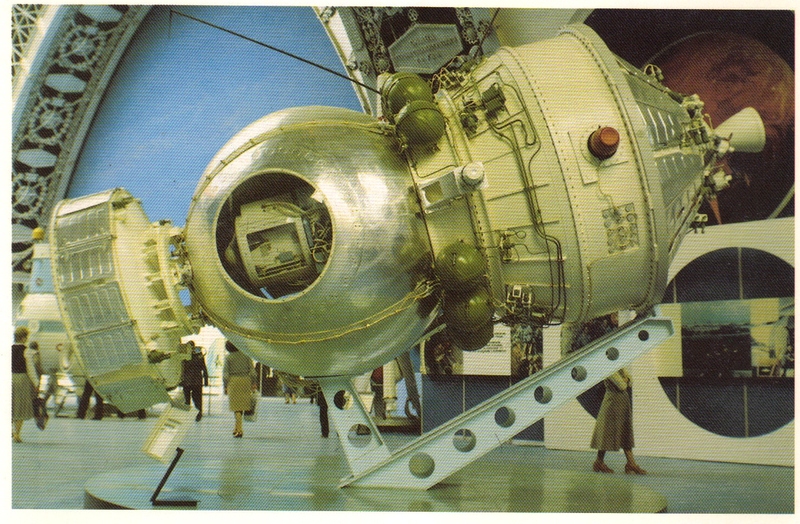 Dark Side of the Moon, first brought to you by the Soviet Union, only second by Pink Floyd. That brings me to the next stamp, which I can’t decipher just yet. It also celebrates the 25th anniversary of Luna-3, but seems to be doing it with an image of a space walk for repairs on solar panels. This is a 50-kopeck stamp, which is an incredible amount to pay for postage in 1984. 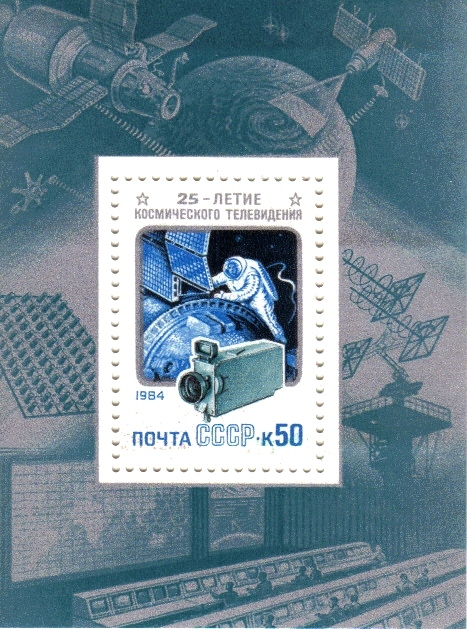 This isn’t a stamp that would ever be used by Soviet citizens (most commemorative stamps weren’t, no matter what country printed them), so maybe it didn’t need to make sense, it only needed look cool so foreigners with hard currency would buy it. 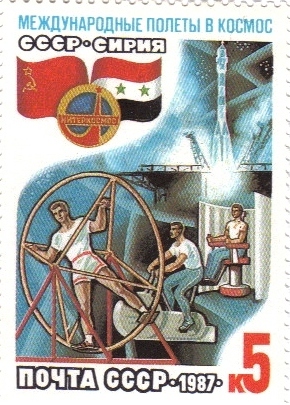 Probably only interesting to me: the red-and-gold circle in front of the Soviet-Syrian flags in the upper left of the 5-kopeck stamp (above) was also produced as a lapel pin. I know this because I own one. 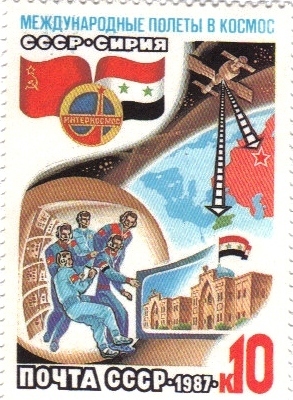 Only after looking at these stamps did I realize the “Intercosmos” symbol was part of the Soviet-Syrian love fest in space. 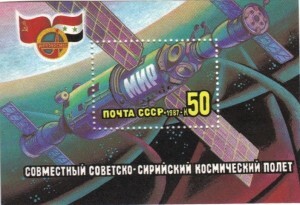 Without the flags, I wouldn’t have understood the 15-kopeck stamp (above). Nowhere does it say, “Syrians! With us!” but the astronaut on the right has a Syrian flag on his sleeve. I’m not sure whom the statue on the left represents. It looks more like Andrei Gromyko than Konstantin Chernenko, but it’s probably a Soviet rocket scientist, not a politician. I thought possibly cosmonaut Valery Ryumin, since he was the flight director for the joint mission, but the hair isn’t big enough. This is my favorite Soviet-Syrian stamp. Five astronauts are hanging out on Mir, looking at a high-def image of architecture that looks like cross between the Umayyad Masjid and the Al Madraj building at Damascus University. Just in case you missed the purpose of the mission, arrows direct your attention from small likeness of Mir in the upper right corner to the locations of the USSR and Syria on a map. I scanned the entire collection, so expect Part II sometime soon. Today, I found a place that has coffee (!) and electricity (!) but no internet (!). Scouring the web for wallpaper images on my iPhone isn’t my idea of fun (have I mentioned how tired I am? ), so I’m just going to copy a link from my e-mail for you. I hope space.com’s gallery of “Experts’ Favorite Space Photos” lives up to its headline. Power’s back on, internet is up. I planned ahead so I could work without electricity for a few days, but now that I have it, I feel compelled to do some more efficient writing on the book manuscript. I’ll be back by next Wednesday, hopefully with a clear head and some fresh insight into the history of astronomy.